Here is a look of the new Pirates of the Caribbean attraction and Johnny Depp came back to play the character as well. Here is,a cool behind the scene video feature. Its a walk through attraction called Legend of Jack Sparrow at Disneyland Hollywood studios. That allows guests to follow the,footsteps of Jack Sparrow to see what it takes to be in his crew. Looks fun. It's looking like Red Dwarf XI might be one step closer to being reality. Digital Spy is reporting that Grant Naylor is already working on scripts for the next series of Red Dwarf. They were talking with Danny John-Jules who let it out that the scripts were being worked on to avoid time constraints that Naylor faced while writing Red Dwarf X. Here are his quotes. "I spoke to Doug the other day, and I know he's already writing outlines," John-Jules said. "Even though the contracts aren't signed, he knows because of the last series [that he needs a head start], because he was under real pressure." 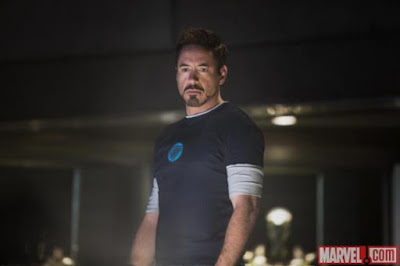 Here are some new promo pics released by Marvel Comics for Iron Man 3. Labels: iron man 3, Robert Downey Jr. 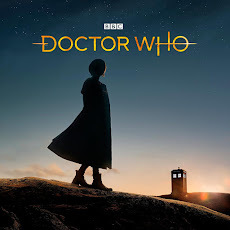 Were going to get a ton of these from now until there is an official BBC announcement on the casting or details about the 50th anniversary for Doctor Who. So until we do it take it with a grain of salt. But I do like the answer David Tennant gave about the 50th when asked in an interview by Moviejuice. Take it for what it is and speculate all you want. Enjoy the quote. I’ve nothing to tell you. But, if I did I wouldn’t tell you it, so, you know, deal with that. 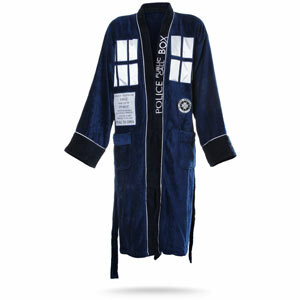 Coming soon to a blue box near you? We hope they're right. And, if they are, maybe they are right about another rumor - John Simm returning to play The Master. Den of Geek, Blogtor Who and Red Carpet News have a video of Christopher Eccleston where he talks about the 50th anniversary. You might be surprised by the answer but you can formulate your own opinion. The BBC has released the synopsis, but not the titles, for the last two Merlin episodes that will be aired during the Christmas season. These two stories will air on Saturday December 22nd and 29th and will mark the end of Merlin's 5 year story. Episode 5.12 High in the mountains, a great horde gathers; Morgana prepares for war with a vengeful Mordred at her side. Merlin feels the weight of his destiny like never before as the ancient prophecies play out with terrifying accuracy. But before he can save his beloved Camelot, he must save himself. For it is not just the kingdom Morgana wishes to destroy – it is also Emrys. Episode 5.13 And so it seems the Prophets did not lie. As the great battle rages on Camlann's mighty plain, Merlin faces his moment of destiny. Can he find the strength to save the man he made a King; the Camelot they fought to build; and the brotherhood they shared? Trailer For Tonight's Elementary "The Long Fuse"
There is an interview up on EW.Com of New Doctor Who Companion Jenna-Louise Coleman and coincidentally its her first American interview. 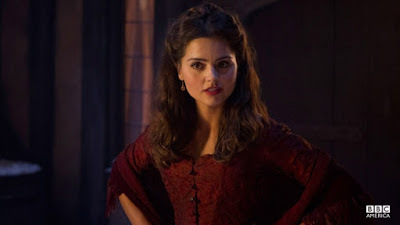 In the interview she talks about keeping her appearance in Asylum of the Daleks a secret and the Oswin/Clara conundrum. Here is a snippet. You can read the whole exclusive interview at EW.COM at the link below. Director Bryan Singer announced yesterday on Twitter that Patrick Stewart and Ian McKellan will be reprising their X-Men roles of Professor Xavier and Magneto. The next movie is a based on the 1981 comic story Days of Futures Past which have scenes that takes place in the future and this casting makes sense based on that storyline. 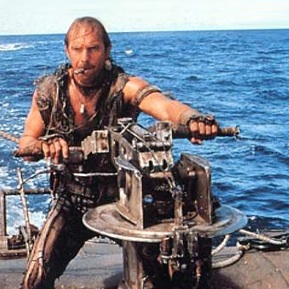 Syfy To Develop Waterworld Series??? Why would Syfy and NBC do a Water World movie game and a TV series? The reason why is when Syfy showed Waterworld on thier channel it got a 400,000 viewership. I thought it was a horrible film. It was a Mad Max rip off but on the water. Go to screenrant.com to read the full article. 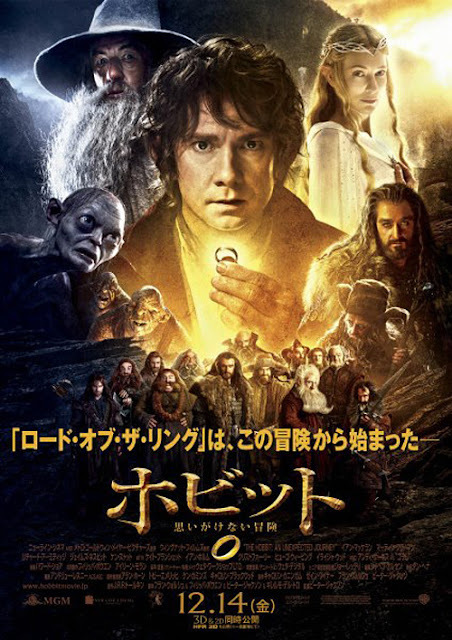 Love this Japanese version of The Hobbit movie poster. I'm sure there will be an American version but this is the first I've seen of the group shot. Plus Sylvester McCoy is on it as well. 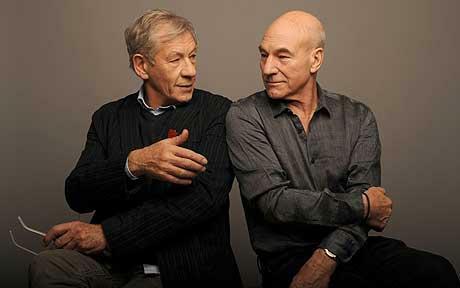 The synopsis for Star Trek Into Darkness has been leaked or released depending on who you ask. It appears Paramount has put this out on their official press release. The movie sounds good but still no word on what character Benedict Cumberbatch will be playing. Maybe we will know when that sneak peak is released before the Imax showing of The Hobbit in a few weeks. Check out the synopsis below. 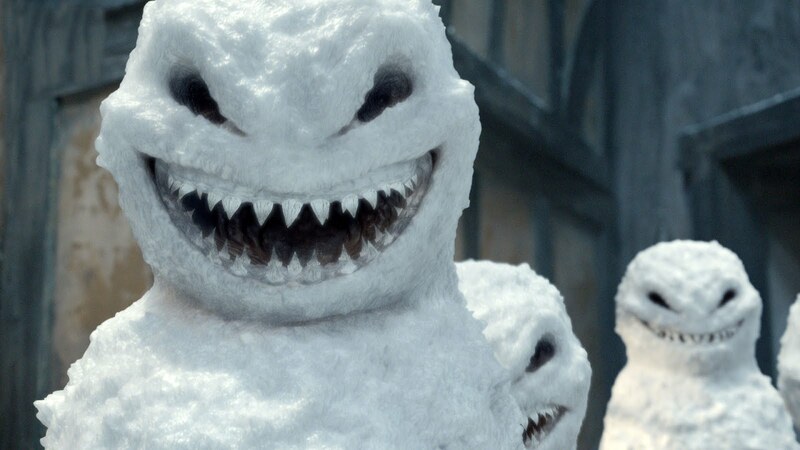 Synopsis and New Picture For Doctor Who Christmas Special "The Snowmen"
The Official BBC Doctor Who website has released another picture and a synopsis for this years Christmas Special "The Snowmen". The story will air on Christmas Day on BBCA at 9PM EST. 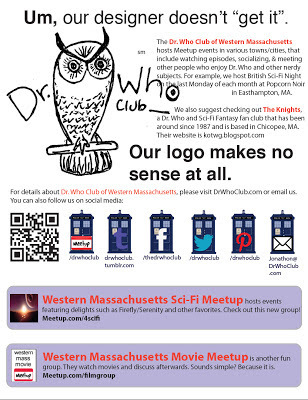 Trailer For This Saturday's Merlin "With All My Heart"
In addition to the Western MA Sci-Fi Meet-up there is also a Dr. Who Club of Western Ma and a Western MA Movie Meet-Up that also sponsor events including movie nights at Popcorn Noir. In the style of the first five stories of series 7 we have a movie poster style promo for this years Christmas Special "The Snowmen"
For those hoping to see series 3 of Sherlock sometime in 2013 well you may have to wait a little bit longer. 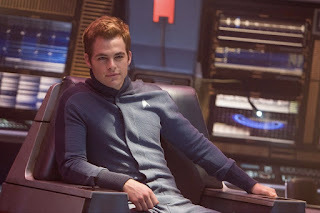 Entertainment Weekly is reporting that the start date of filming has been pushed back from January to March. 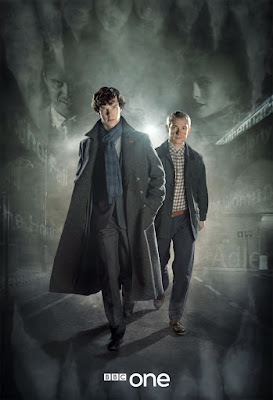 The shift in starting of filming is due to the busy schedules of the main stars Benedict Cumberbatch and Martin Freeman. A BBC Spokesmen has said that Sherlock will air in late 2013 or early 2014 and will be considerable longer for those in the US waiting for PBS to air it. You can read the full story from Entertainment Weekly here. 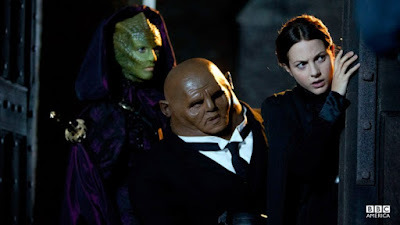 In a press release the BBC have announced that the highly popular and ratings success will wrap up its 5 year story with episode 13 of series 5. Merlin will wrap up its 5 year retelling of the King Arthur legend with a special two part series finale this Christmas. 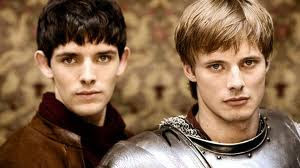 There is the chance that there will be a trilogy of Merlin movies that the creators were talking on doing which was announced at San Diego Comic Con. 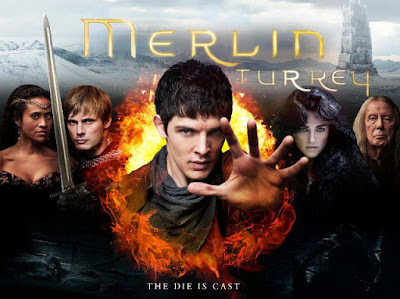 With Merlin ending this leaves a gap in the fall with Merlin's timeslot. Could Doctor Who be moving in there for the 50th? Time will tell. Here is the full press release from the BBC taken from the BBC Media Center. First Trailer For "Dark Skies"
This article is probably one of the most difficult ones to write. 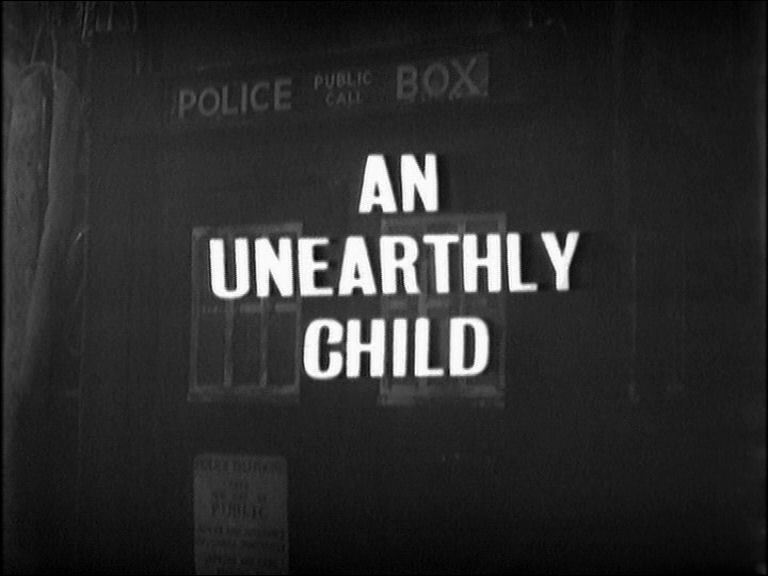 A show I adore with a rich and varied history is 49 years old and where do I start? How do I do such a wonderful show enough justice and pay enough respect to it? Do I talk about the first story I ever saw; The Green Death? 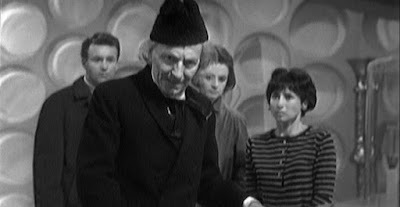 Do I discuss the Seventh Doctors era I predominantly remember whilst growing up? Then I re-watched my favourite story The Mind Robber and I found my answer. 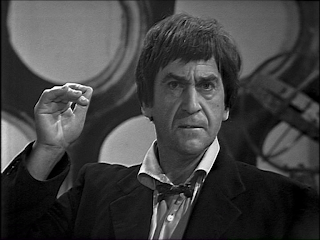 As a child I recall seeing a picture of the Second Doctor grimacing in a newspaper or magazine and I was actually a little frightened! 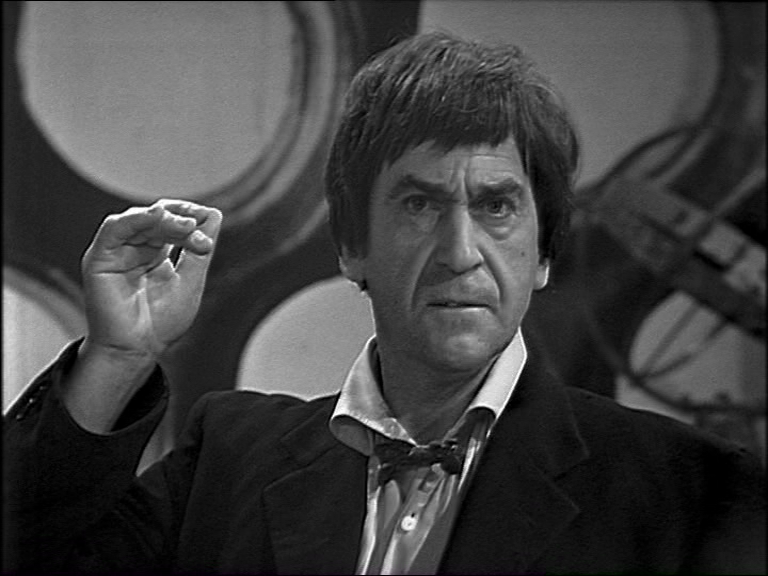 Over time I have developed a deeper appreciation for earlier stories and in particular, the Second Doctor and his era. Here we are. It is the 49th anniversary to our favorite show. We are now about a month away from the start of the 50th anniversary year. There are lots of speculation and lots of anticipation for what is to come in the next year. But the 49th is something special also. The show, in one form or another, has persevered for 49 glorious years. We’ve had original novels and audios to tie us over during the wilderness era. You remember that time when Doctor Who was off the air and all we had was the video tape releases to watch with no new Who in sight for many years to come. 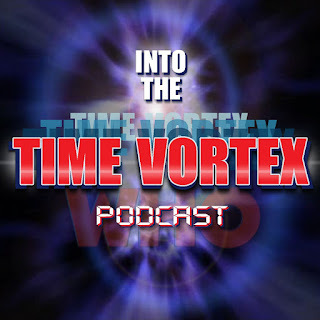 It was a dark time but now that is over and unlike the 30th and 40th anniversary we are on the verge of celebrating the 50th with a televised special with current Doctor Matt Smith. 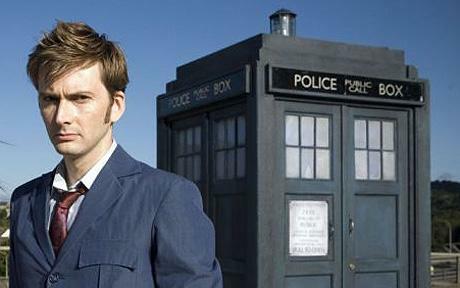 David Tennant is perhaps one of the few people who seem to have truly been born to play the role of The Doctor. 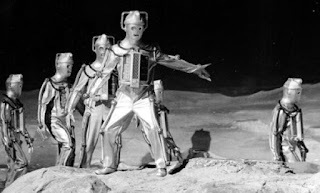 The Scot actor and self-confessed Dr Who fan really did get to live the dream of travelling in time and space, and after studying at the Royal Scottish Academy of Music and Drama, Tennant’s early television career included roles in Rab C Nesbit and Taking over the Asylum to name but a few. 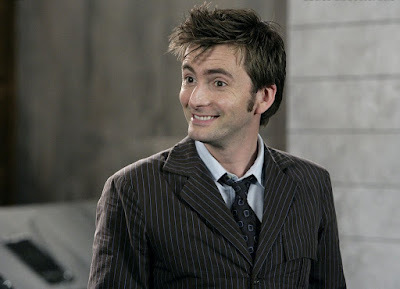 By the time Christopher Eccelston had decided he was not returning for a second season, Russell T Davies had already chosen David Tennant to be his successor. David Tennant was already closely associated with Big Finish Audio Plays, having appeared in Colditz (2001), Sympathy for the Devil and Exile (2002), as well as roles in Dalek Empire III and Medicinal Purposes in 2004 and even the online animated story Scream of the Shalka (2003). 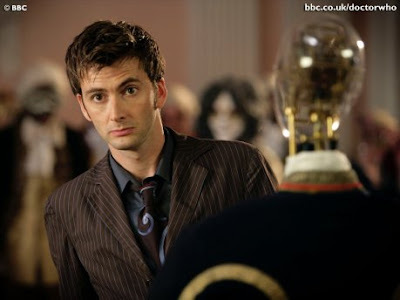 By the time Tennant was offered the role of the Doctor while filming the BBC’s three part drama about the life of Casanova, you could say that his appointment with destiny had been sealed, and after only a few days consideration, David Tennant embraced the roll of our favourite Time Lord and effectively made it his own. Happy 49th Anniversary Doctor Who and the countdown is on to the big 50th Anniversary Year. 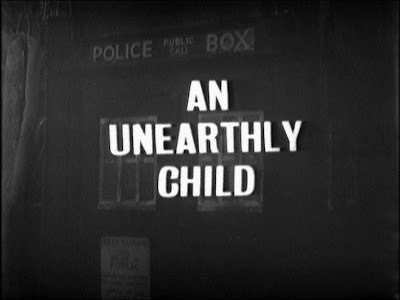 On this date 49 years ago the very first episode of Doctor Who was shown "An Unearthly Child" and a worldwide phenomenon was started. A sequel to the 2006 South Korean film, The Host, looks to be very exciting and scary. The obvious question is "what?" Or, to be more precise, "WHAT?" For now, the scientists are not saying. They are, after all, scientists who want to be absolutely certain about their discovery before announcing it to the world. That could be weeks away. 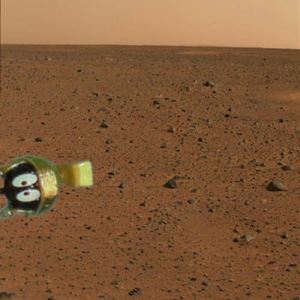 "They have some exciting new results from one of the rover's instruments. On the one hand, they'd like to tell everybody what they found, but on the other, they have to wait because they want to make sure their results are not just some fluke or error in their instrument." In the meantime, it's anyone's guess - signs of life? Little green men, maybe? The Science Channel has just become better with its syndicated airing of all 5 seasons of Fringe. The debut of the series started on November 20, 2012 (today), and will air episodes on Tuesday as well as some marathons on November 23 & 24. 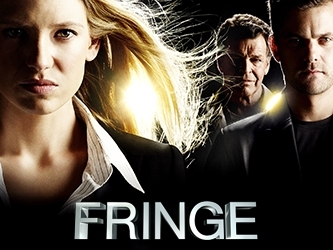 In addition to the series, special segments will cover the real life science of Fringe. It is ironic, but with Firefly also airing on the channel, it makes the Science Channel more like the Sci-Fi Channel than SyFy itself!! 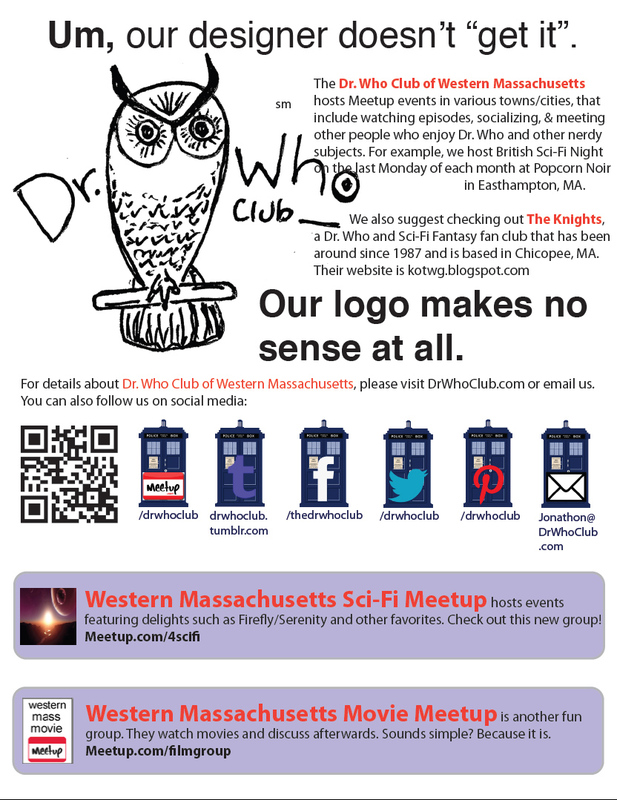 This is a great opportunity to catch one of the better Sci-Fi series in the past few years. 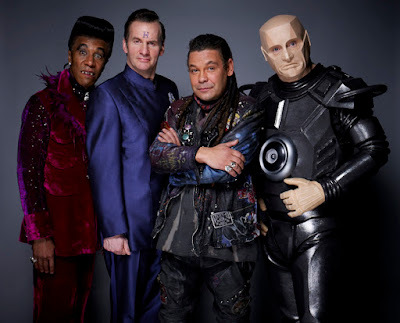 Hands up who else is missing Red Dwarf already? Considering some shows reprisals have been disastrous, the brave step taken to relaunch this much loved series was a gamble that's paid off. Having Doug Naylor at the helm has helped keep the shows originality and distinct style, without its characters and story lines becoming stale. Trailer For Saturday's Merlin "The Hollow Queen"
The X-Files - Blu Ray?? 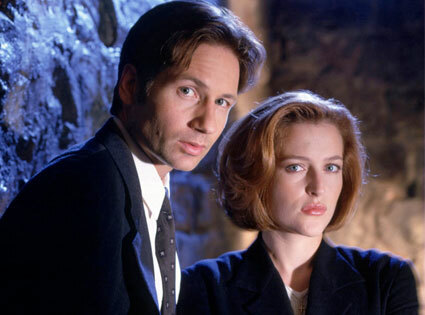 The Digital Bits is reporting a rumor that Fox may be looking to release The X-Files on Blu-ray. 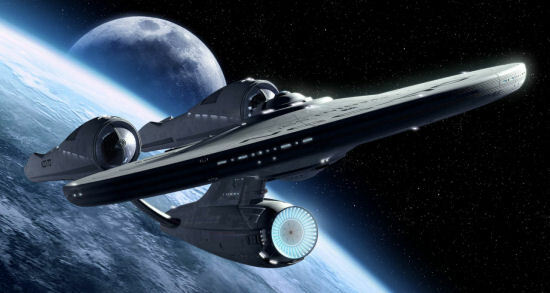 Since the show never aired in high definition and the special effects were made in standard definition, the release would mirror what Star Trek The Next Generation is doing with remastered effects. The X-Files was shot on film and so an conversion to HD is possible but the effects were made in a standard definition and would have to be remade similar to Star Trek, the Next Generation. It is uncertain whether the effects elements exist in HD or that they would just have to be done over again. 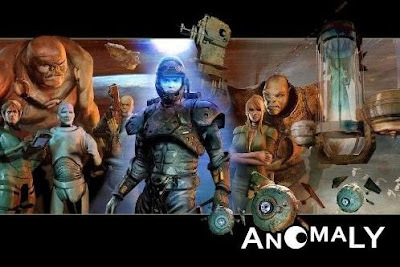 We could see the first release as early as 2013.
Review of the Interactive Graphic Novel "Anomaly"
Are you looking for something a little bit different than the normal super hero fanfare from Marvel and DC. Do you want a graphic novel that you can interact with an iPhone or iPad. Well if you are then Anomaly is just the graphic novel you have been waiting for. 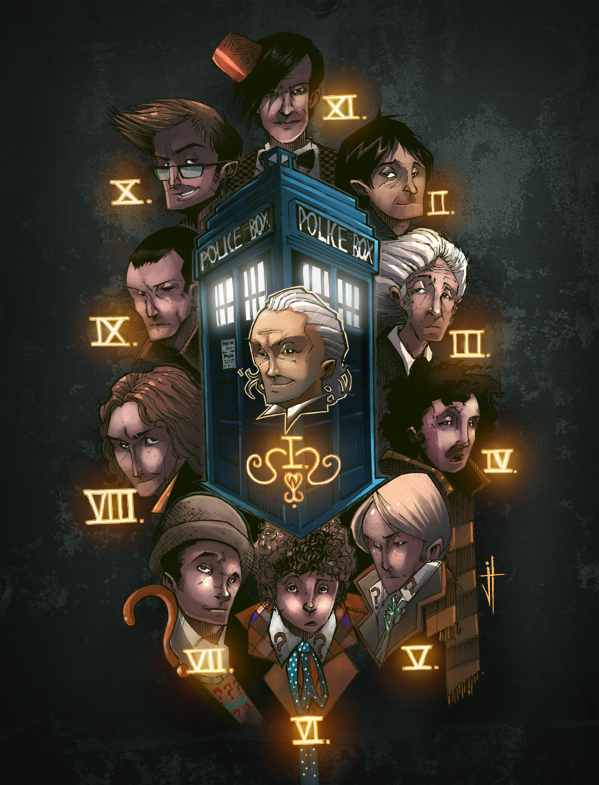 The story takes place in the year 2717 in what is heralded as The Third Golden Age of Man. Disgraced elite Enforcer Corps member Jon is looking for a chance to redeem himself and to get out of doing work that they wouldn’t risk a robot to do. Well he gets his chance in an exhibition to an unknown planet that is dubbed Anomaly. The problem with Anomaly is that there is a virus that eats metal and makes electronics worthless. But that isn’t all. Anomaly has an evil force ruling and none of the tribes on the planet are strong enough to defeat the forces of the evil Erebos. It’s a tall task and Jon needs to unite the tribes and lead a force that will free Anomaly from Erebos forces. 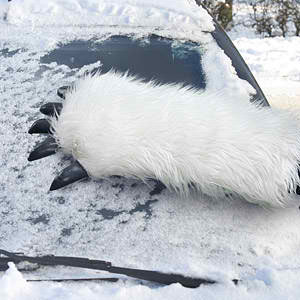 A task that will be very costly to those involved. This year’s SuperMegaFest was, for me, a long journey finally completed. It all started way back in 1995 when I purchased a cast photo from series 2 of Babylon 5. Now I believe I bought it at United Fancon to get Jeff Conway’s autograph, well, mainly because there were not any good single photos of him from Babylon 5. Wasn’t a big Grease fan so was not interested in those and Babylon 5 had just started its second season and was just about to hit it’s big popularity era. Superman meets Hercules at SuperMegaFest. Dean Cain does not like being reminded that it has been 19 years since the actor first donned the tights to play Superman in "Lois and Clark: The New Adventures of Superman." 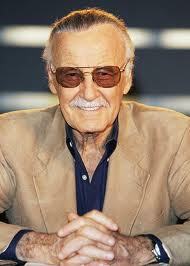 But fans attending SuperMegaFest in Framingham, Mass., over the weekend have not forgotten. Truth be told, the 46-year-old Cain does not mind, either. He was having a little fun with a fan who asked him about continuing to carry the legacy of the Man of Steel some 15 years after "Lois and Clark" ended its four-year run. The still-handsome Cain - ask any female in the audience at his question-and-answer session - shook his head in good-natured horror at the reminder. Dean Cain has a way of making fans laugh with him and at him. Asked whether his Japanese ancestry ever posed a problem for him as an actor, he recounted how he laughed for 25 minutes after being cast as Superman when one fan wrote, "We wanted Superman, not Sushi-man." But Cain is not all about laughs. Or even about entertainment. That's why his appearance has to be ranked among the best I have ever seen at any convention by an actor. Here is the trailer for this years Christmas Special "The Snowmen" which airs on Christmas Day on BBCA. 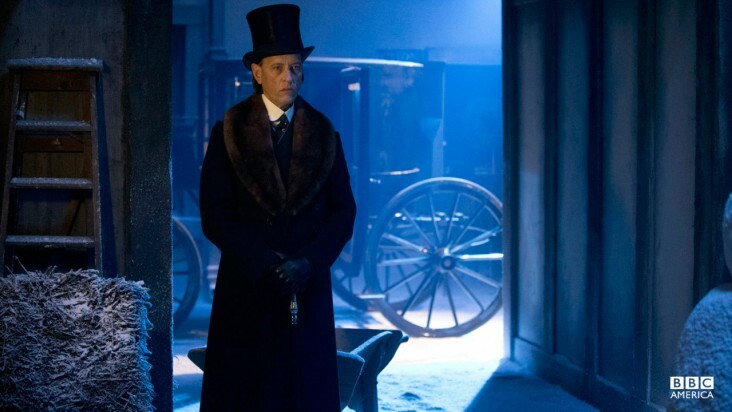 Doctor Who Christmas Special Prequel "The Great Detective"
Here is the Prequel to the Doctor Who Christmas Special "The Great Detective" which was a part of Children In Need. The Trailer will be up sometime later. 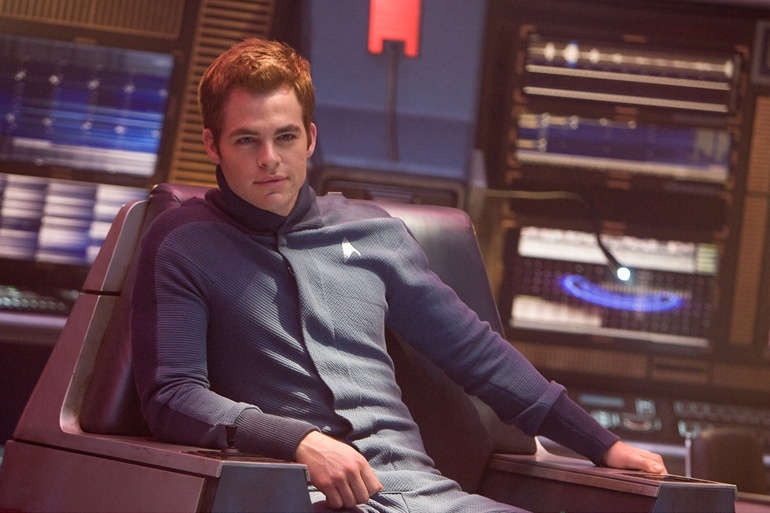 Trailer For Next Wednesday's Arrow "Muse of Fire"
On December 14 IMAX Theaters will show a special 9 minute preview of Star Trek: Into Darkness. The footage will be shown before The Hobbit: An Unexpected Journey (which opens that day). The footage will only be available at IMAX theaters. Until that date, here is the Conan O'Brien Show clip to tide you over. 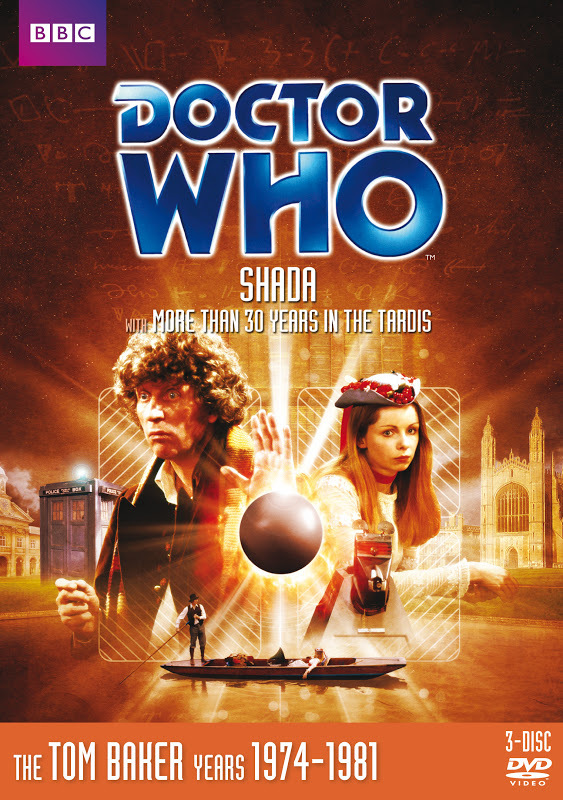 Here are the release details for Shada and More Than 30 Years in TARDIS. It will be coming out January 7 2013 in the UK and January 8 in North America. The version of the unfinished Douglas Adams story previously released on VHS in 1992 (featuring linking narration from Tom Baker). The 2003 BBCi animated version of Shada with Paul McGann (via computer). Now and Then - a featurette visiting the locations of Shada. Strike! Strike! Strike! - looking at other BBC shows affected by industrial action. 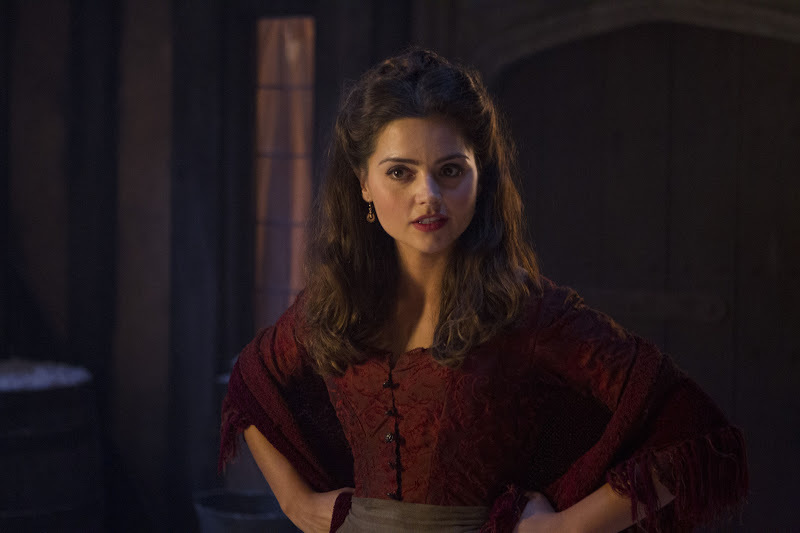 Being A Girl - Samira Ahmed and Emma Price look at the portrayal of women in Doctor Who. 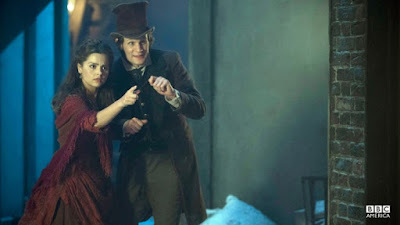 Here is a picture released by the BBC for this years Christmas Special. This is absolutely the best news I have heard from Doctor Who in a while. Finally an episode I am looking forward to!! 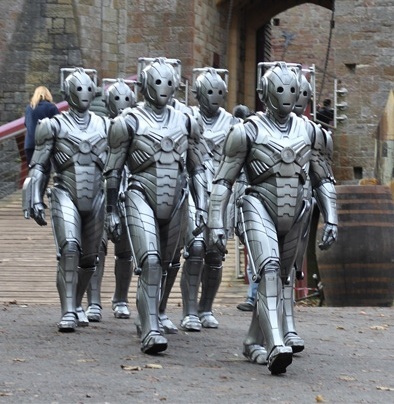 But the real credit goes to http://healthytowers.tumblr.com/ and I apologize for neglecting the rights for these behind the scenes photos of the Cybermen which is owned by the BBC. Steven Moffat and Phil Ford were winners at The Writers of Great Britain Guild Awards. Steven Moffat got a special award while Phil Ford won for The Sarah Jane Adventures. You can read the full press release here. The Writers' Guild of Great Britain Awards are given annually and we’re delighted to report that Steven Moffat, Doctor’s Who’s lead writer and Executive Producer, won the Writers' Guild Special Award for Outstanding Writing at yesterday’s ceremony. Phil Ford (The Waters of Mars, Doctor Who: The Adventure Games) was another winner, scooping the award for Best Children’s TV Script for The Sarah Jane Adventures: The Curse of Clyde Langer. And congratulations also go to Toby Whithouse (School Reunion, A Town Called Mercy) who along with three co-writers picked up the prize in the Best TV Drama Series category, for his long-running BBC show, Being Human. Alex Kingston Reads Melody Malone "The Angels Kiss"
Alex Kingston will be reading the EBook version of "The Angels Kiss" for AudioGo's Doctor Who range of audio books and adventures. The download will be available in December with a CD version out later in March. You can read the announcement below. This month AudioGO have scooped an exclusive coup! 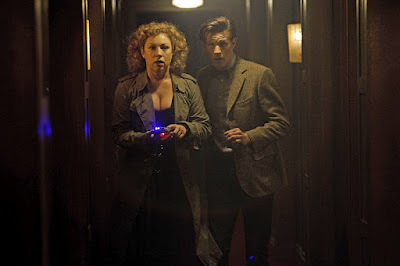 River Song herself - actress Alex Kingston - has recorded Doctor Who: The Angel’s Kiss by Melody Malone for release as a download in December, with a CD release following in March. 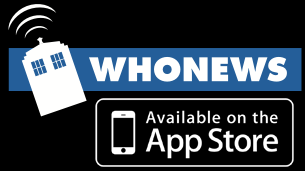 Alex Kingston (Marchlands, ER, Moll Flanders), has become a fan favourite as mysterious River Song in the Doctor Who TV series, and we are thrilled to have her on board to tell Melody Malone's story. There are some changes to Supermegafest's line up for this weekend and more information on scheduling and pricing for Stan Lee! Check out their website for more details including the list of cancellations which include Avery Brooks, Ernie Hudson (he cancelled a while back), Jon Bernthal and others. Under Event Schedule at their site there is a more detailed list of when the Photo Ops are happening. 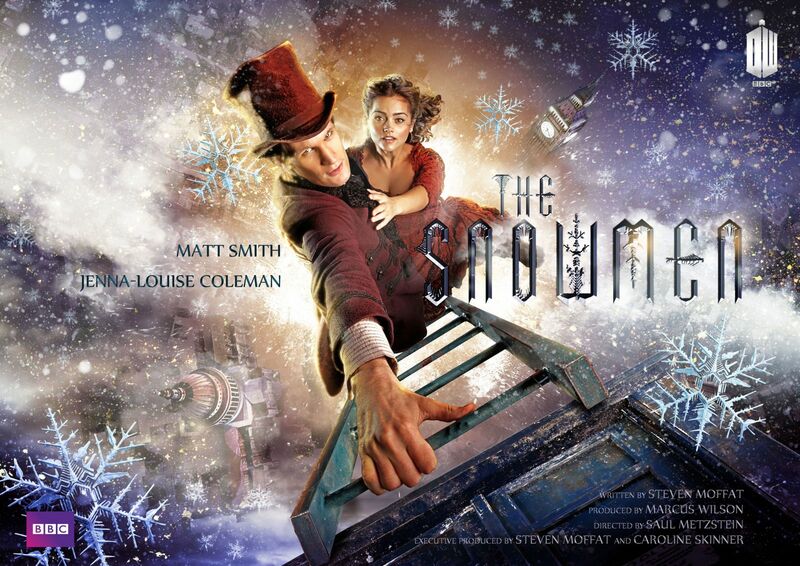 Here is the first promo picture from this years Christmas Special. 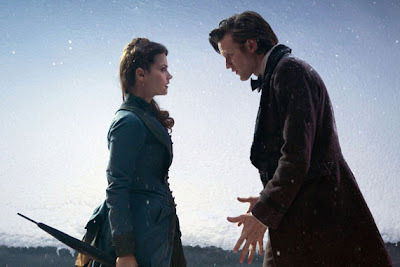 Which will air on Christmas Day in the US on BBC America at 9PM. 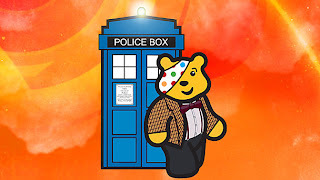 The BBC have released some info about this Friday's Children In Need Special Doctor Who scene. 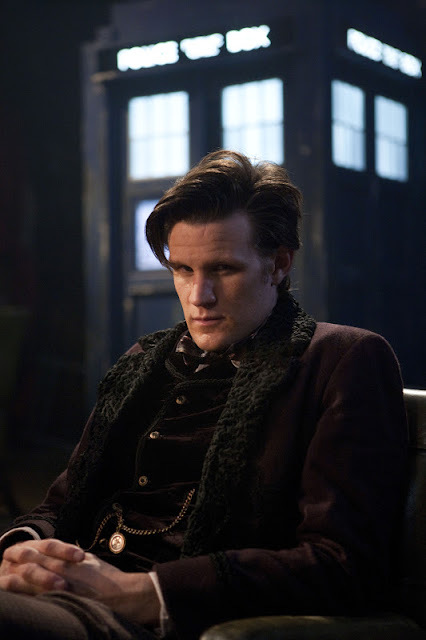 There will be a special prequel to the Christmas special and a special trailer for that story also. So tune in and if your in the UK make a donation. The CW and the produces of Arrow and The Vampire Diaries will be bringing back the hit ITV show from the 70's. 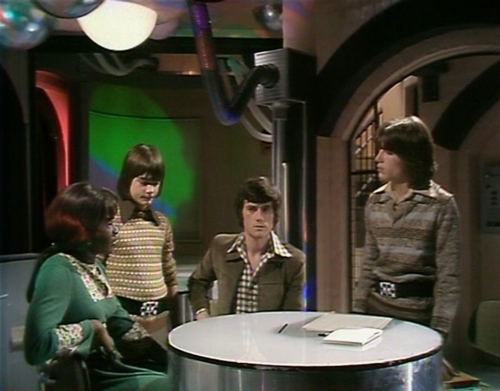 The Tomorrow People was a show that aired between 1973 and 1979 and dealt with the next stage of human evolution. 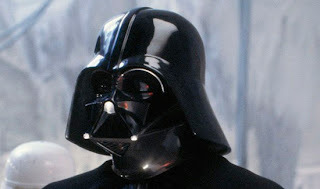 The Latest Star Wars 7-9 Rumor - Darth Vader Returns! It appears that the UK tabloid, "The Express", is stating that Disney is looking to bring back Darth Vader for the next series of movies and that he is an "integral part of the franchise." It is probably a made up rumor and we will hear a million more before the next movie comes out but what if it is true? I can see several possibilities. One is that Darth Vader is back, resurrected somehow. This is very bad as it would cheapen the Episodes 1-6. Vader no longer exists and even if he had survived, Anakin returned to the good side of the Force. So could Vader time travel? Or is his return in the form of an evil ghost like figure haunting Luke? Imagine a spirit world of deceased Jedi continually interacting with the living. I don't have a problem with Vader returning as long as it is done imaginatively and not ruining the previous movies. Still, moving on and dealing with new villains would be preferred. 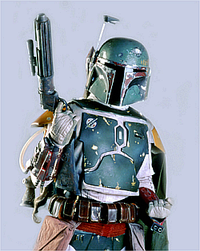 By the way, there is no reason why Boba Fett could not return to the franchise in a similar fashion. 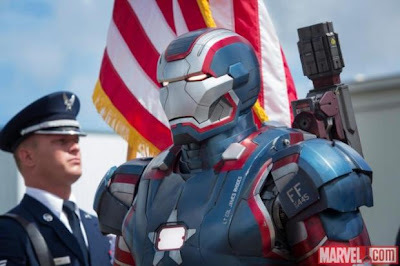 That would be another popular character that could redeem his short appearances in the previous movies. Trailer For Tonights Red Dwarf X "The Beginning"